The most western ancient Greek colony documented in the Mediterranean is revealing its secrets through the development of a Document Centre on Greek trade and presence in Iberia, according to the creators of the Iberia Graeca centre. Empúries, formerly known by its Spanish name Ampurias, was a town on the Mediterranean coast of the Catalan comarca of Alt Empordà in Catalonia, Spain. 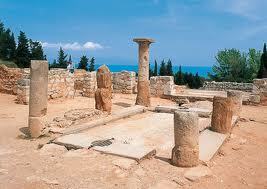 It was founded in 575 BC by Greek colonists from Phocaea with the name of Emporion, meaning “market”. It was later occupied by the Romans, but in the Early Middle Ages, when its exposed coastal position left it open to marauders, the town was abandoned. The ruins are midway between the Costa Brava town of L’Escala and the tiny village of Sant Martí. The ancient Greek colony has been gathering the attention of archaeologists over the years for its unique and well-preserved construction, with the first excavations of 1908 progressing so far that the site ranks first now in tourist arrivals. Some 200,000 tourists and another 35,000 students from across Spain and neighboring France are visiting Empúries every year. Empúries was founded on a small island at the mouth of the river Fluvià, in a region inhabited by the Indigetes. This city came to be known as the Palaiapolis, the “old city” when, around 550 BC, the inhabitants moved to the mainland, creating the Neapolis, the “new city”. After the conquest of Phocaea by the Persian king Cyrus II in 530 BC, the new city’s population increased considerably through the influx of refugees. In the face of strong pressure from Carthage, the city managed to retain its independent Hellenic character. Political and commercial agreements were concluded with the indigenous population long settled in the nearby city of Indika. Situated as it was on the coastal commercial route between Massalia (Marseilles) and Tartessos in the far south of Hispania, the city developed into a large economic and commercial centre, as well as being the largest Greek colony in the Iberian Peninsula. During the Punic Wars, Empúries allied itself with Rome, and Publius Cornelius Scipio initiated the conquest of Hispania from this city in 218 BC. 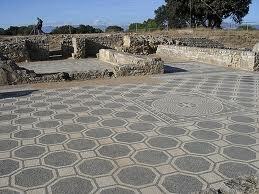 After the conquest of Hispania by the Romans, Empúries remained an independent city-state. However, in the civil war between Pompey and Julius Caesar, it opted for Pompey, and after his defeat it was stripped of its autonomy. A colonia of Roman veterans, named Emporiae, was established near Indika to control the region. From that time onwards, Empúries began to decline, obscured by the power of Tarraco (Tarragona) and Barcino (Barcelona). At the end of the 3rd century it became one of the first cities in Spain to admit Christian evangelists. In that century, too, the Greek town was abandoned while the Roman town survived as a mint and the largely ceremonial seat of a coastal county, Castelló d’Empúries, until the Viking raids of the mid-9th century. Coinage began again under count Hugh II of Empúries (1078–1117). Iberia Graeca centre is promoted by the Spanish Ministry of Culture, through its National Archaeological Museum, and the Ministry of Culture of the Generalitat of Catalonia, and through its Archaeological Museum of Catalonia, with the collaboration of l’Escala Town Council (Girona). To create and maintain a website in which to make available all the information offered by archaeology concerning the Greek material culture of the Iberian Peninsula. To develop its own research projects which will help increase knowledge about the Greek cultural presence and its interaction with Iberian societies in classical times. To promote research projects in Spain dealing with Greek Mediterranean archaeology, setting up cultural collaborations with the diverse scientific institutions and universities that develop this line of research. To train young researchers in the field of Greek archaeology and to involve them in the various documentation and research projects of the centre. To design a programme of cultural and social dissemination of the Greek common legacy in the Mediterranean, as an element of cohesion for the Mediterranean cultural identity.